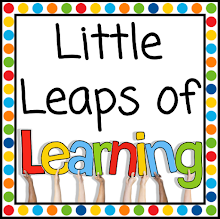 Little Leaps of Learning: Powerful ways to end a lesson... even with no time left! For the first time ever in my teaching career, I finally feel confident in the effectiveness of my lesson delivery. We should really dedicate more thought to how we end our lessons with plenaries and ploughbacks. 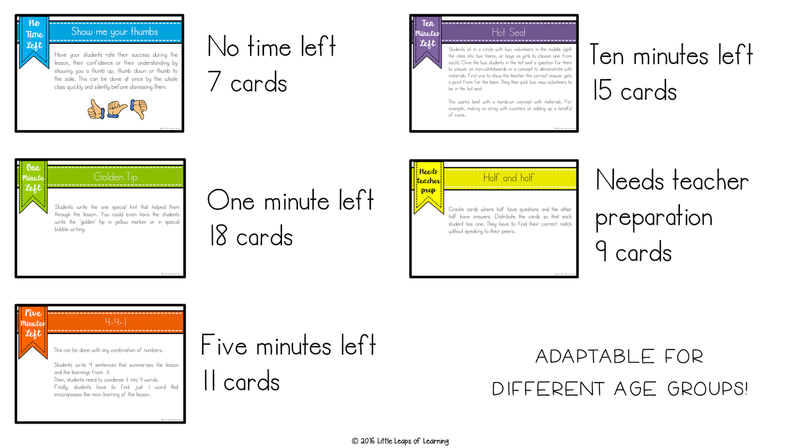 For students, it is a time for them to reflect on how they met the lesson's objectives and a chance for them to connect what they learnt in that lesson with what they already know. For teachers, it's the perfect time to monitor for understanding, which then informs our next steps and planning. 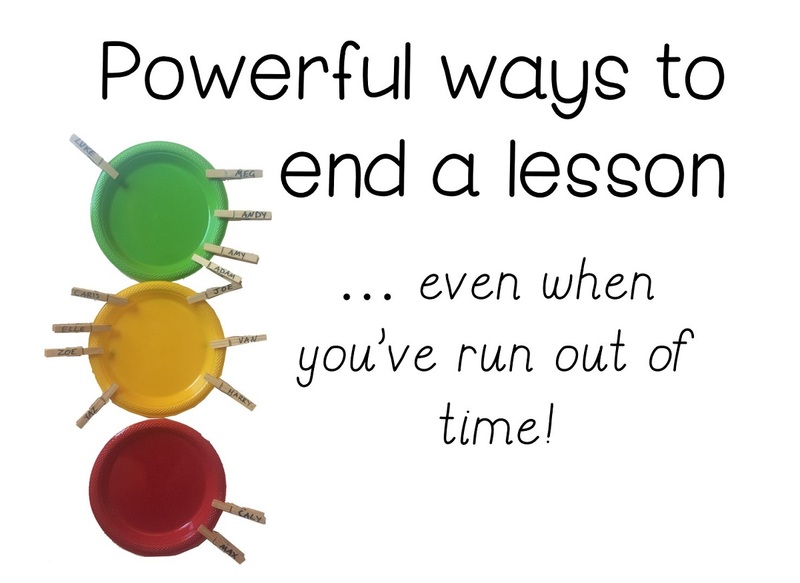 I thought I would share with you my plan for being better at ending any lesson. I've put together a resource pack of 60 ways to end a lesson... with no time left, 1 minute left, 5 minutes left, 10 minutes left, PLUS ideas for when you want to prepare review questions ahead of time. It is on sale this weekend - 30% off. I have these cards printed, laminated and on a keyring next to my desk ready to go! Only one set requires teacher preparation. We've all been there before. The bell is about to ring as you're wrapping up a maths lesson. 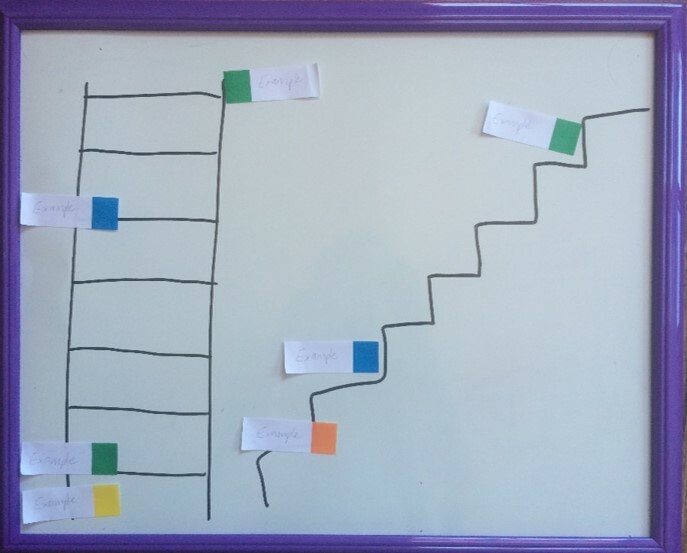 The trick is to have something by the door where students can rate their learning as they transition. I've written about my some of my ideas in the resource pack. Some examples include the traffic light plates and peg system (pictured above) and quick-and-easy post-it note displays on some sort of linear diagram like a tree, ladder or bullseye target. All of these ideas are described in the resource pack. 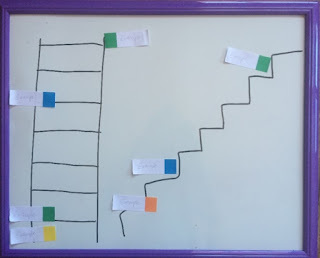 Sometimes I might draw a ladder or staircase on a portable whiteboard and leave it by the door for students to rate their learning/effort/achievement. Easy as! Why does it work? It takes no additional time for students to mark their name or give a response on a post-it note as they pack up or transition. Plus, teachers can see at a glance how the class on the whole feels they have managed the lesson content. 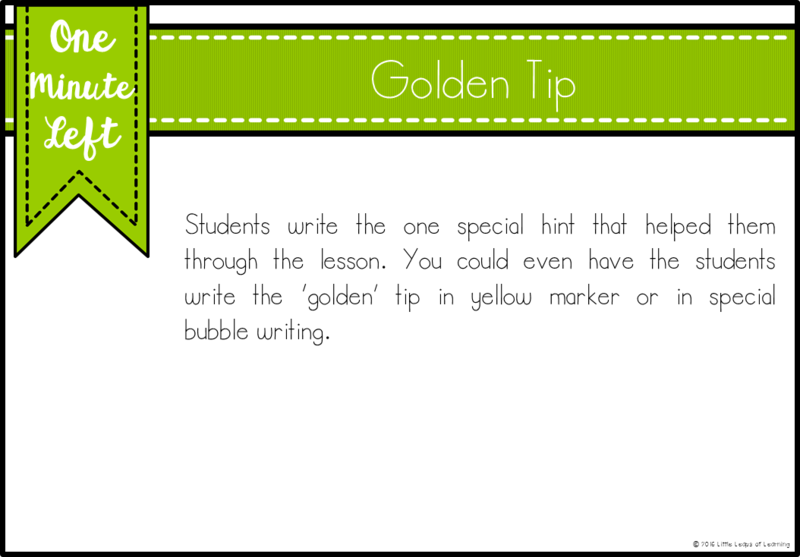 One example of how to end a lesson with one minute left is The Golden Tip. My Year 2s last year LOVED doing this. We would each write or draw about the one special trick that we must remember from the lesson (in other words, getting the students summarising). It was made extra special by the kiddies being granted permission to write in yellow pen. It can be done verbally or written (I usually get them to do this on the bottom of their page). Here is an example of Golden Tips. When we were learning about procedural texts, one student wrote "Charlie's Golden Tip is to write bossy verbs". Why does it work? 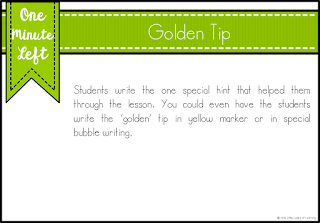 The Golden Tip takes less than one minute and helps students zone in on an important take-home message. 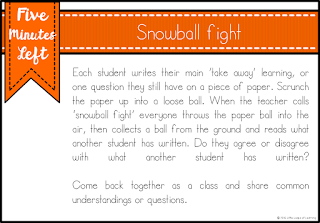 It allows teachers to gauge whether students are correctly understanding the main intent of the lesson as well. Here is one example of how to end a lesson with five minutes left. 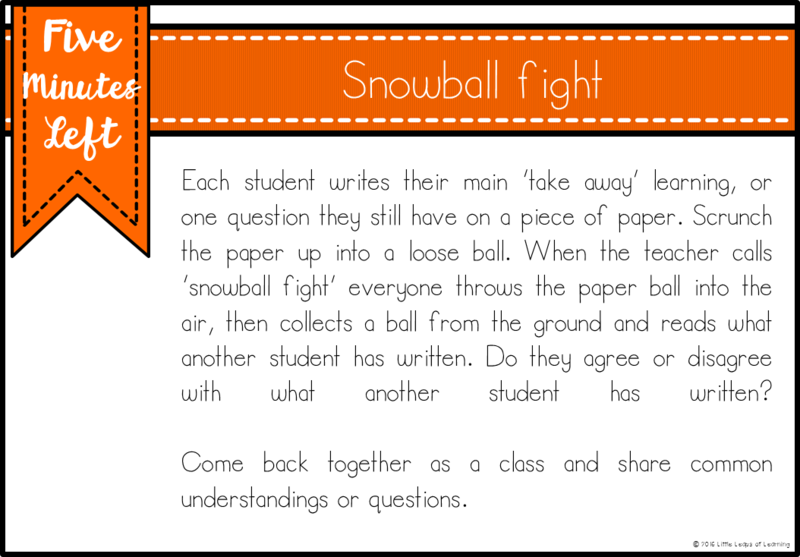 More often than not, my class would beg me to end a lesson with a snowball fight. I use this strategy a lot with Science lessons. Why does it work? It gets students moving. Students are having to justify and explain their thinking to others, and synthesising with what they already know. It's great way for teachers to be aware of, and correct, misconceptions as well. 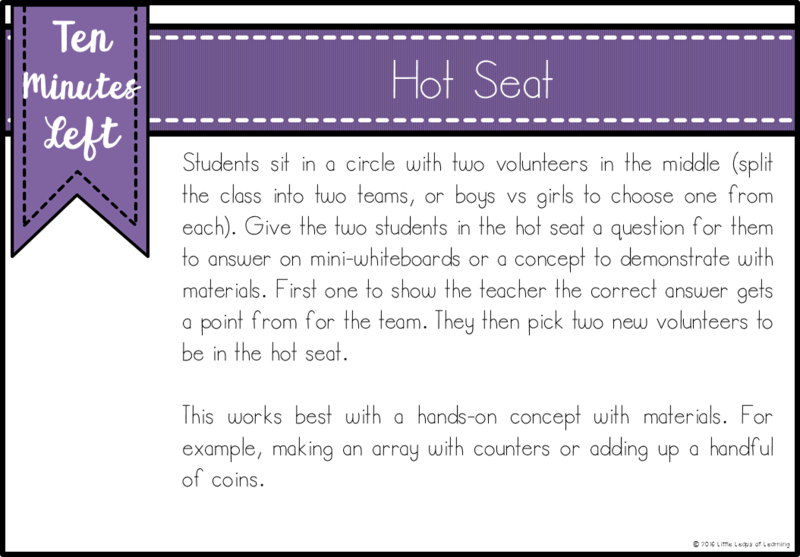 One example of how to end a lesson when there is ten minutes left is Hot Seat. This is perfect for hands-on maths lessons. It's great to review concepts and to correct and reinforce in front of the whole class. Why does it work? The competitive nature is just so motivating! It's great for reviewing concepts by differentiating for different pairs. Use the opportunity to correct and reinforce important skills. Sometimes I plan a ploughback ahead of time, usually at the end of a unit or after an important lesson. 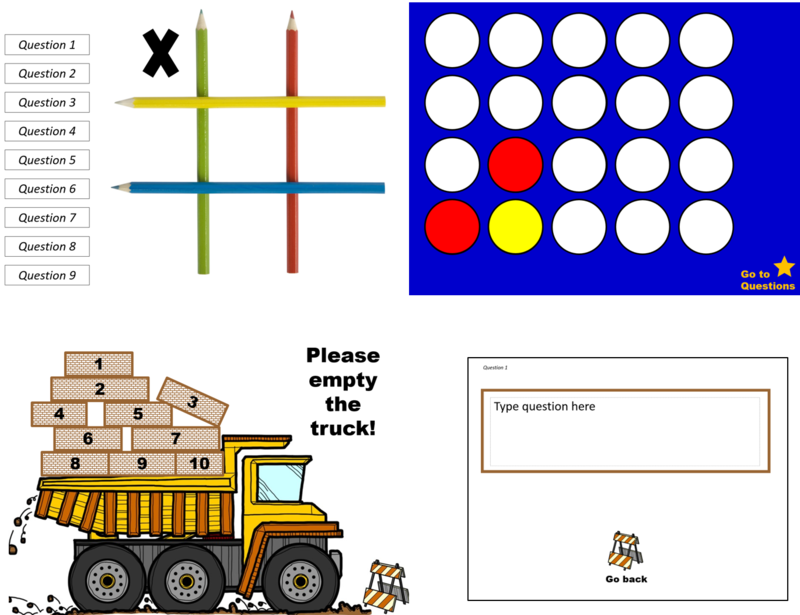 The resource pack features these clever editable PowerPoint games. Simply type in the 10 questions and answers on the question/answer slides ahead of time, and play the review game with your class. The games are Tic Tac Toe, 4 in a row, a construction themed one, 20 questions, and a generic multiple choice game. The resource pack is on sale for this weekend only - you can get it for 30% off! Find it here. Don't forget to follow me on Facebook for exclusive Facebook Fan Freebies! I found your this post while searching for information about blog-related research . mayo international school delhi.. It's a good post .. keep posting and updating information.